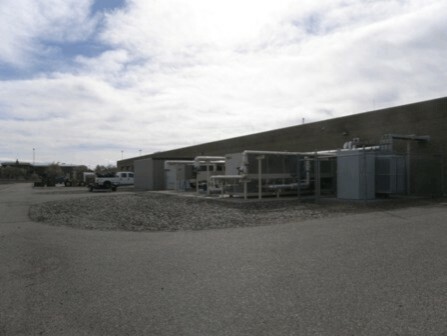 This competitive bid project included full renovations to building 1327 & 2215 on Mountain Home Air Force Base ID., through the Army Corp of Engineers contracting office. Building 1327 - 9,016 sf shop renovation and 6,992 sf full finish renovation. The shop was completed with new plumbing, fire sprinkler system, HVAC and electrical, including new overhead doors. The full finish office was a complete demo and rebuild to accommodate the new floor plan, including framing, drywall, flooring, ceiling, plumbing, data equipment and cabling, fire sprinkler system, HVAC and electrical. Work also included landscaping and asphalt. Building 2215 - 11,006 sf full finish remodel, including flooring, plumbing, data equipment and cabling, fire sprinkler system, HVAC and electrical. Work also included to install new blast proof glazing and entry doors with exterior canopies. Building 2215 was occupied throughout the duration of the construction.